At 2 Spain transfers we work hard to provide all our clients with quality service at reasonable prices, why risk reserving with any one else, all our taxis and minibuses are fully licensed and insured, our supplier’s are carefully vetted we only choose supplier’s with a strong track record on safe driving and punctuality, Pre-book your Alicante airport transfers, and simply pay your assigned driver the pre arranged rate at your holiday destination. A city with a true Spanish flavor, Alicante stands on the country’s eastern Mediterranean coastline, along the famed Costa Blanca. 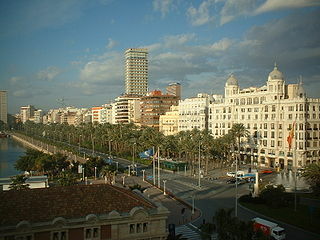 The city of Alicante stands in the Valencia region of Spain; it is a booming province, partly due to the surge in tourist activity over recent years, especially along the coastal areas which have the best climatic conditions in the whole of Spain. Modernity runs alongside tradition and you can still find very traditional villages tucked away in the mountains. The richness of Alicante’s history is preserved through the archaeological remains dating as far back as the third millennium B.C. and on through to the later Iberians. 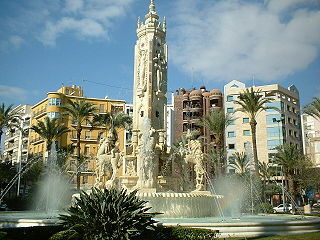 At the beginning of our era, the Romans conferred Alicante with the rank of “city” and named it Lucentum. Alicante is also home to one of the most famousfestivals in Spain, Noche de San Juan (Night of Saint John). The festival lasts for one week and there are many spectacles of firework shows and live music. We recommend our transfer alicante benidorm in a private fully licensed and insured vehicle, why worry about your travel arrangements when we can do the work for you. At 2spaintransfers you are important to us that is why we carefully select our suppliers, all our drivers have a strong track record on quality service, punctuality and of course quality service, Pre-book your door to door Alicante airport transfers at low cost rates without having to renounce quality service, reliablity or safety.